Bob Bittenbender is doing battle with invasive plants, aggressive growers that often crowd out native species and dominate that landscape. But like a good general, he wants to stack the deck so he has a better chance of winning. Between now and Sept. 27 Bittenbender, with the support of the Portland North Land Trust Collaborative and the Chebeague & Cumberland Land Trust, will be giving four talks on why the aggressive non-native plants should be removed and replaced. And while the emphasis of his talks is on the islands, people can use his techniques to do battle on the mainland. Bittenbender is assistant property manager at Maine Audubon Society, and is now working to rid Gilsland Farm in Falmouth of its invasive plants and replace them with natives. Before people accidentally or purposefully but mistakenly introduced Asian and European plants, the native plants and animals evolved together. That means that native birds eat native berries and native bugs, and Bittenbender said the insects are more important than the berries because they are here all year long, not just a few weeks. “Birds will not do well in a monoculture of just a few types of plants. The birds just can’t take any nutrients out of a glossy buckthorn,” Bittenbender said. And gardeners should not fear the insects that the birds need to thrive, he said. 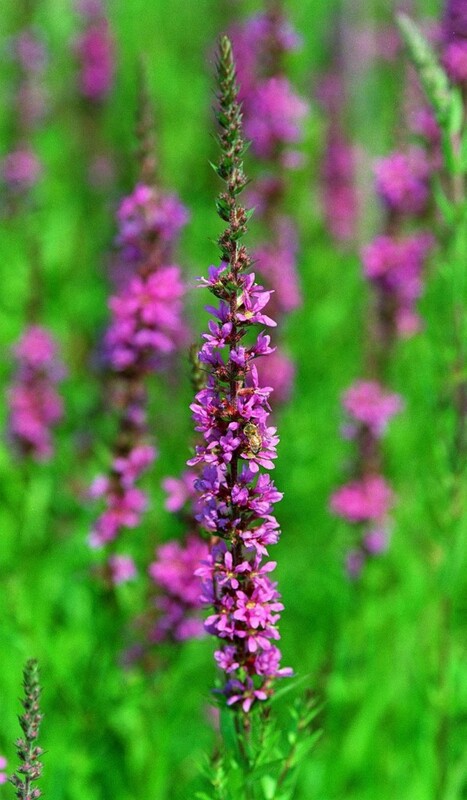 While native insects will feed on native plants, they won’t feed on them to the extent that they will kill them. They will stay in balance. I asked Bittenbender about the problem that occurred when a patch of invasive plants was removed from Fort Williams Park in Cape Elizabeth and it was found that the patch was home to threatened cottontail rabbits. 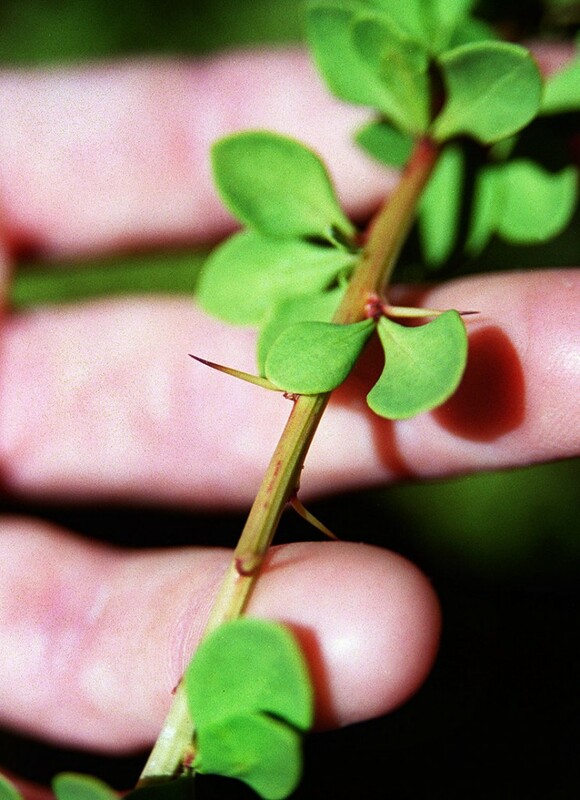 He responded that Laudholm Farm in Wells has been taken over by Japanese barberry, one of the most aggressive of Maine’s invasive plants, and it has a good population of cottontail rabbits. “I’m not an expert on cottontails,” he said, “but I suspect they use the barberry as tunnels for hiding and aren’t eating any of it.” He suspects the cottontails have adapted to the barberry but would prefer native plants, if such plants had not been driven out. In addition to buckthorn and barberry, invasive plants that are a big problem in Maine include Oriental bittersweet, multiflora roses, autumn olive, burning bush, Norway maple, purple loosestrife, shrublike honeysuckles, Japanese knotweed and swallowwort. If you see them for sale, don’t buy them. If you have them on your property, remove them. Bittenbender said he has no problem with gardeners growing non-aggressive exotic plants in home gardens. In passing, he commented that if you cut down every Norway maple in Portland, you could heat the city for a year. He also said that the appearance here of U.S. native plants that once would not grow in Maine is just a natural progression as the climate warms. He says that will not be as harmful as the spread of plants from Europe and Asia. Bittenbender says using chemicals such as glysopohate, commonly called Roundup, to remove invasive plants is a trade-off he is willing to make. “I think it gets a bad rap that is less about science than about people yelling and screaming,” he said. He said that all of the ingredients in Roundup break down in 40 days, and if Roundup is applied carefully it will do no damage to the environment. “The way I do it is, we cut an invasive species if the branch is a half-inch in diameter or bigger, and then sometimes paint and sometimes spray the cambium layer, the green layer that is about two cells thick, that is really the plumbing system for plants,” he said. That process takes the chemical to the root of the plant and kills it without damage to anything else in the vicinity. I asked him for a few plants he especially likes, and he saidthere are a lot of them. 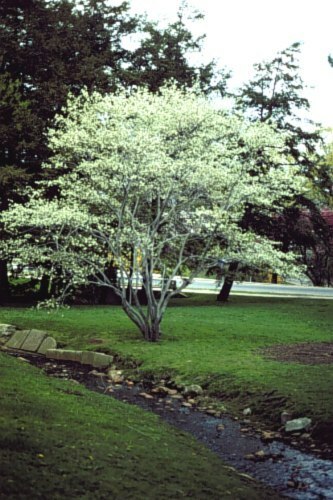 He likes speckled alder, for its looks, and amelanchier, also called shadbush or serviceberry, for the looks and the fruit it provides. 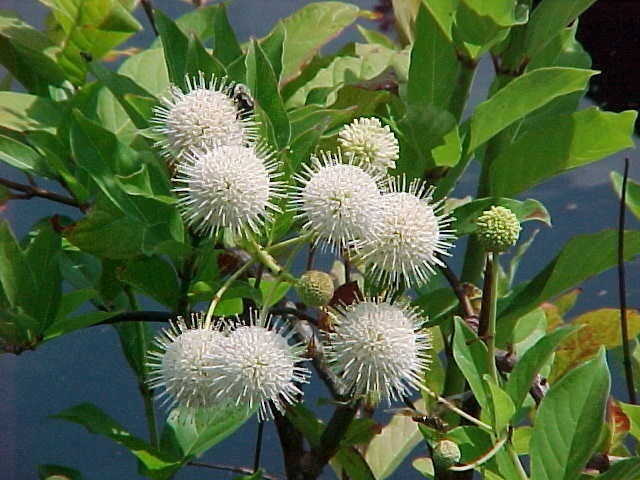 Buttonbush is a swamp plant that does well, and a lot of native dogwoods, including the bunchberry, which is a small ground cover with great berries, also do well. The native junipers do very well, although he said they have the somewhat derogative name of pasture juniper. The common spicebush, Lindera benzoin, is a great plant but can be hard to find in nurseries, he said. Beach plums do well on the islands, and native rhododendrons are good. There is even a Canadian yew that is a completely deer-proof plant, he said, but it also is hard to find in nurseries. And then there are cranberries and blueberries. He also likes native viburnums — although some of them are susceptive to the viburnum leaf beetle. And believe it or not, there are some native roses that will work well. “And I do not mean rugosa,” he said, a plant that thrives along the Maine coast but is not native and which some people consider invasive. In last week’s midseason roundup, I forgot to mention what an awful year it was for peonies. Perhaps I was trying to block it out. But several people have since mentioned that peony blossoms this year were few and small. The cold, damp and gray spring did not let the peony blossoms develop properly, and a lot of the blossoms just rotted before they opened. So, it wasn’t your fault. Blame the sun for refusing to come out of hiding.